Take your class on impossible field trips – inside the human body or to outer space! Preview a digital video product available from one of our video partners! individuals worldwide. Since 1991, our mission has been to combine solid educational content with cutting-edge technology and top-notch writing. instruction. Topics include Evaluating Sources, Digital Citizenship, Plagiarism and more. make great additions to the classroom. Inspire and engage your students with videos that entertain as they educate. video capture, creation and publishing in a way that is cost-effective, easy and secure. With student privacy becoming increasingly important, security is a key differentiator over free industry solutions. meet the demand for curriculum-aligned rich media in support of online and classroom-based instruction. Search for and find professionally-produced and captioned video to provide an engaging and student-centered experience that leads to learning. music and interactive games into their lessons. Digital videos cover American Sign Language, Chinese, French, Italian, German, Japanese, and Spanish. they really enjoy. New Dimension Media’s educational videos, professionally produced and vetted by educators, help students understand and absorb information more quickly with quality visual media. genuinely inclusive, featuring captions, animation, narration and music. Stories are selected to support teachers working to Common Core State Standards. Signed Stories has a very simple goal – to help improve the literacy of deaf children, and children with special educational needs including autism, by giving them access to the best children’s literature in sign language. Signed Stories brings the magic of storytelling to all children! helping educate the world from Pre-K through adult. Explore the worlds of science, math, social studies, arts & humanities, guidance, careers, sports and much more with their award winning programming. quality, educational books and music for kids. They have sold over 50 million albums worldwide and are proud to be Grammy (RIAA) Voting Members for 25 years as well as best selling authors! 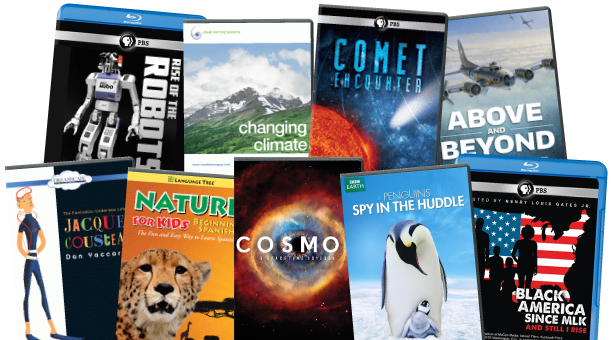 Mackin provides an extensive collection of PK-12 video resources in DVD and Blu-ray formats that include core curricular, biography, documentary, foreign language, personal growth, special interest, and entertaining titles. It’s the first all-in-one video player, pre-loaded with multiple videos of only the best in kids’ education and entertainment programming. You thought you loved Playaway … you haven’t seen anything yet! 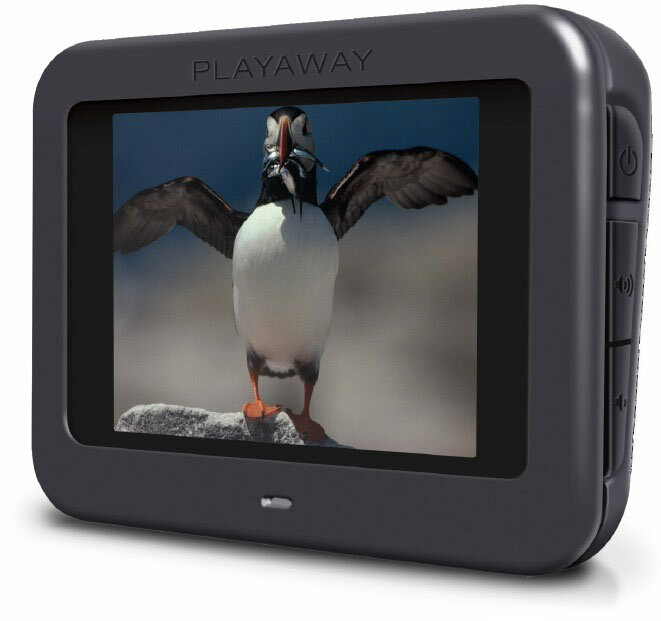 Kid-Friendly: No DVDs to scratch and designed for drops — Playaway View is equipped with a built-in speaker and rechargeable battery so it can go wherever kids go. Circulation-Ready: Without the need for earbuds or batteries, Playaway View is shelf-ready and low-maintenance, arriving in One-Time™ Lock compatible orange packaging that includes the AC adaptor for recharging. One Year Warranty: Really great products come with a warranty and service to match, and Playaway View is no different. Offer kids an exciting new way to watch their favorite videos. 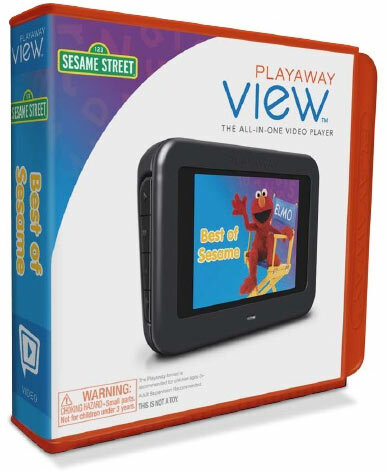 With over 100 Playaway Views available at launch from top content providers, such as Sesame Street and TumbleBooks, and 10 new Views being released each month, kids will be able to watch the videos they like over and over again on a cool new portable device. Battery will operate at 20° – 116° Fahrenheit. Temperatures to either extreme can cause issues with the battery life and even cause a rupture or ignition in extreme cases. A Lithium Ion battery has a lifespan of 500 complete charges within 3-4 years. We do not currently have a program in place around battery replacement or servicing, but we may create one in the future if needed and feasible. The unit will take about 3-4 hours to obtain a full charge. Once fully charged, the charge should last up to 8 hours in continuous Play mode. On the Menu screen or in Pause mode, the player will hibernate after 2 minutes of non-use. The player will go into Hibernation mode for a 24-hour period from the last power-on to provide a convenient instant-on experience for the user. One power cord is included in each package. Other compatible power adapters with a mini-USB port will also work. For sanitation, a damp sanitizing wipe can safely be used on the screen and body of the unit. To simply clean fingerprints, we recommend using a micro cloth. Providing the most up-to-date information in a variety of ways, online databases include videos that are ideal for research, classroom discussion and curriculum supplements. 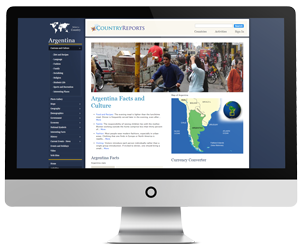 Find video resources for history, geography, science, the United States, sports, teen health, author and illustrator research and more.